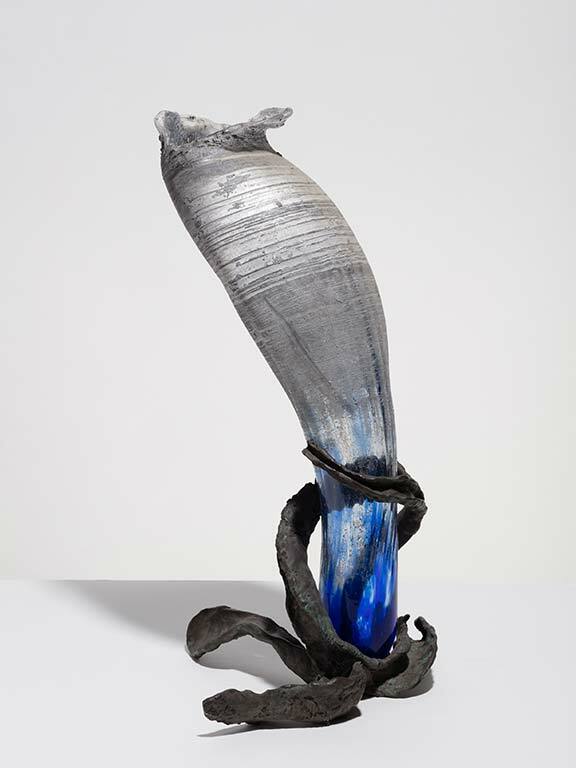 Blown glass and patinated bronze. This work was the last in the Torn Head series. As the Bead Heads changed from Heads to Headdresses, the Torn Heads metamorphosed from heads to fish to flowers. Lijn began to experiment in the factory using colour and blowing the glass into metal which wrapped itself around the molten forms, taking on the patterns of the spinning motion used when blowing glass.